Join us 4/27/19 for our Bay Area Dance Week Celebration! Aerial dance is an art form with an athletic twist. You will learn to blend grace and style while getting an amazing workout. Our friendly and supportive instructors welcome students of many ages and skill levels. ​ Achieve new heights and soar toward your goals. Who doesn't like to swing?! Aerial dance brings out the kid in all of us. Our student community is a place to enjoy learning and growing together. Where else could you experience the magic of flying with a great workout, in the company of supportive classmates and instructors? When students step foot into our aerial space, a sense of delight takes over. Each day is something new for our students, as beginners explore new ways to move their bodies, and the more advanced hone their acrobatic skills. 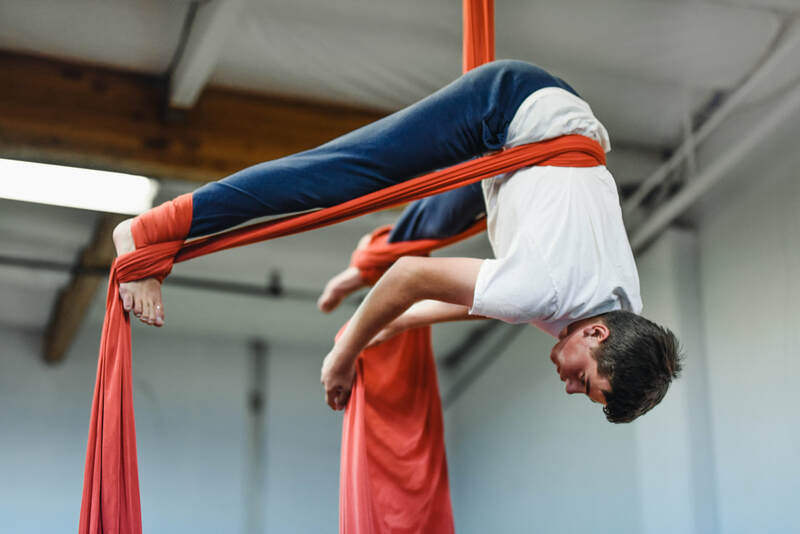 Beautifully highlighting both mental and physical strength, aerial dance has proven to be an amazing opportunity for any student to soar to new heights! 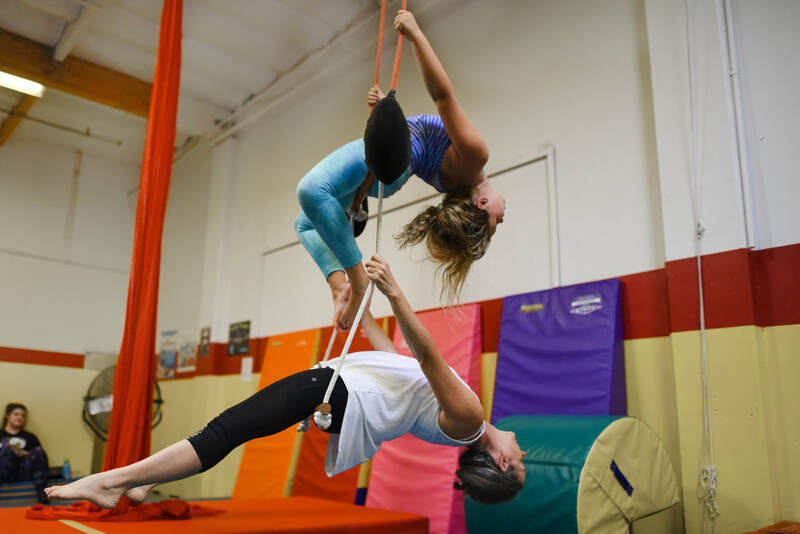 Join us at Aerial Dance Marin!